Factory original style top with a heated/defroster glass window. The top is manufactured using original style cloth bindings, die cut plastic reinforcements and elastic straps. We offer it in the Sailcloth vinyl and the upgraded Stayfast canvas. Both brands have a worldwide reputation for quality workmanship and precision patterns. Bpth brands use only first quality top materials and original style components. Combine that with the finest custom workmanship and you end you with long lasting top that fit correctly and look sharp. Xtreme tops are high quality convertible tops, original materials, 6 year warranty and offered at reasonable prices. Sometimes there are less color selections for the Xtreme Auto Tops. 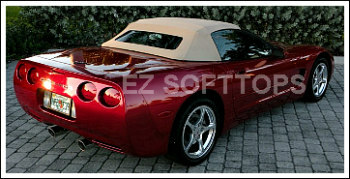 for your new Corvette convertible top. 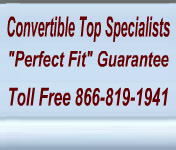 This top fits the 1998 Corvette convertibles, 1999 Corvette convertibles, 2000 Corvette convertibles, 2001 Corvette convertibles, 2002 Corvette convertibles, 2003 Corvette convertibles and 2004 Corvette convertibles. Sailcloth vinyl is a “single texture” vinyl. The fabric has a woven texture with the look of a canvas like an artist’s canvas with the square indents. The underside is a grey cotton cloth. Sailcloth has excellent strength, durability and UV resistance. Stayfast canvas is a three-ply composite. It is a tightly woven cloth canvas. The yarn is solution dyed before it is woven so the color is uniform throughout. 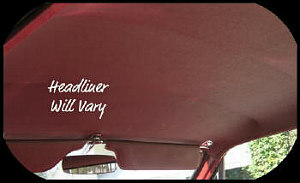 Most convertibles that came with a cloth top were originally canvas. Stayfast is more expensive than the vinyl options. This convertible top is a superior product with excellent wrinkle and U.V. resistance. Weatherability is superior and excellent durability and low temperature flexibility. Cables come as a pair. One pair is required per convertible top. The cables are threaded through a sewn pocket on the left and right sides of the convertible top. The cables are required to hold the top snug and tight against the frame. 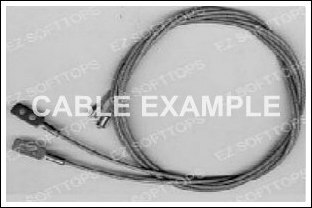 Over time cables can become stretched and/or worn. For that reason it is recommended you replace cables each time the convertible top is replaced. Order one set per car.